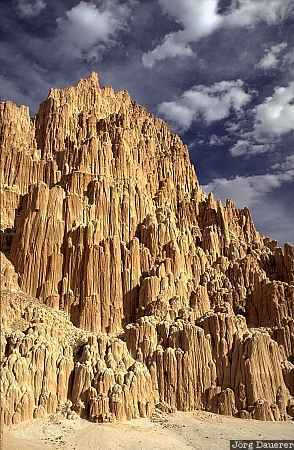 Clouds above the rocks of Cathedral Gorge State Park north of Caliente which are illuminated by low evening light. Caliente is in eastern Nevada in the west of the United States. This photo was taken in the evening of a cloudy day in May 2002.